Meghana's Gallery! 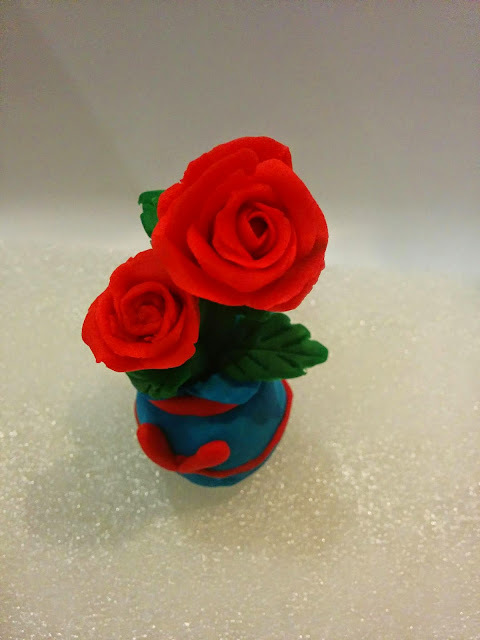 : Clay Roses in a Clay Vase! Creating many types of flowers I always thought of having a right Vase. I used to showcase them leaning backwards or clicking only flower and so. 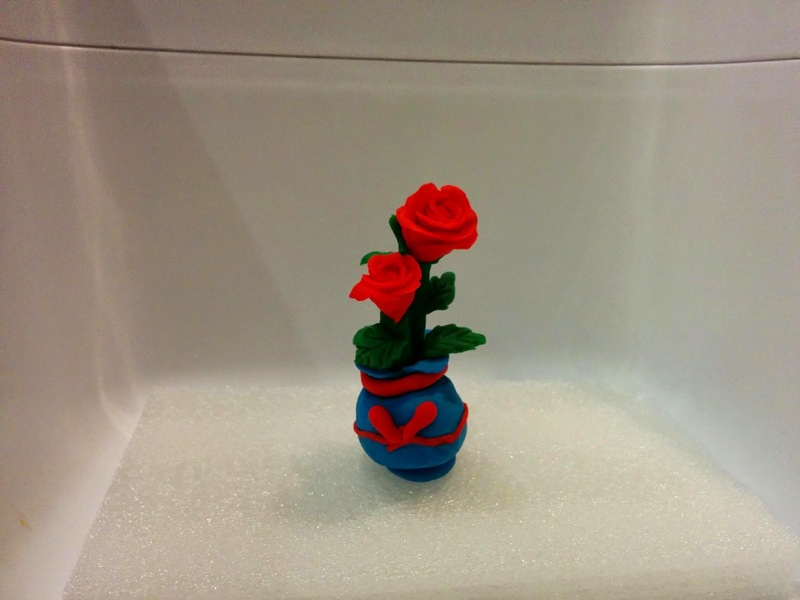 One day I made couple Red Roses and they looked so beautiful that I thought I need a pot to showcase them. After thinking and looking here and there an idea flashed and here it is after implementing they looked like this! !